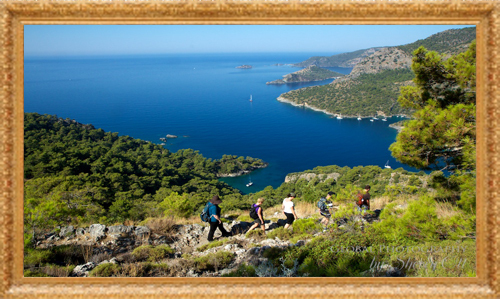 The Lycian way is a 509 km way-marked footpath around the coast of Lycia in southern Turkey, from Fethiye to Antalya. The route is graded medium to hard; it is not level walking, but has many ascents and descents as it approaches and veers away from the sea. It is easier at the start near Fethiye and gets more difficult as it progresses. We recommend walking the route in spring or autumn; February-May or September-November; summer in Lycia is hot, although you could walk short, shady sections. The route is mainly over footpaths and mule trails; it is mostly over limestone and often hard and stony underfoot. Butterfly Valley is a great day trip for our guests. It is home to the unique Jersey Tiger butterfly. Between June and September, butterflies in thousands of colours and countless varieties can be seen here. This valley is an interesting canyon with steep cliffs up to 350 meters high and stretches back from the cove some 3-4 kilometers. 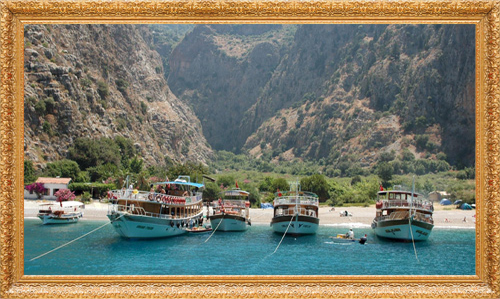 To get to Butterfly Valley, you can take a boat from either Oludeniz or Fethiye Taxi boats leave from Ölüdeniz three times a day in both directions – an alternative for the adventurous and well-shod hiker is to follow the steep and rocky slope down from the upper rim of the valley, following the footpath from in front of our motel (gauge about 30 min.). 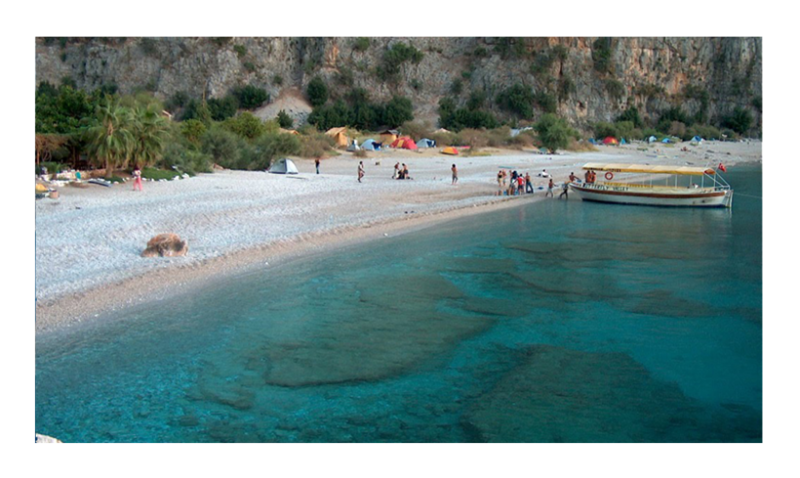 Butterfly Valley with it`s untouched nature, most amazing beach and basic facilities (no electricity, tv or any earthly possesions) – only a small restaurant and simple beach huts – is a total relaxation destination. 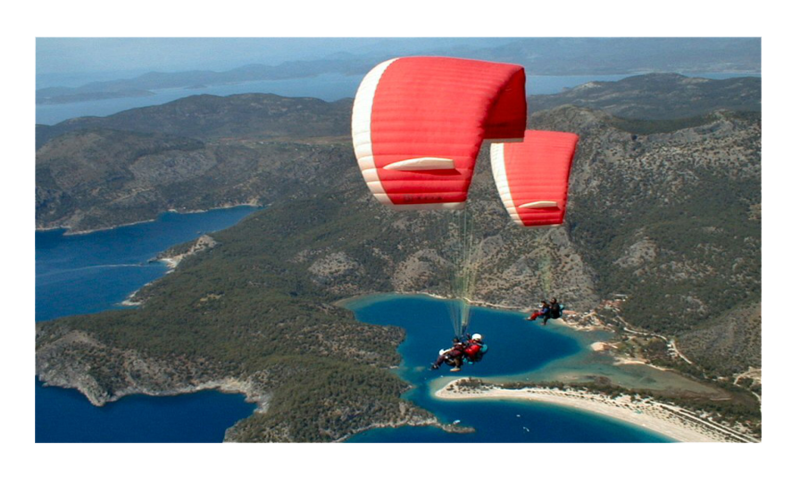 Flying tandem with high experienced licensed pilots from Babadağ (1975 mt.) 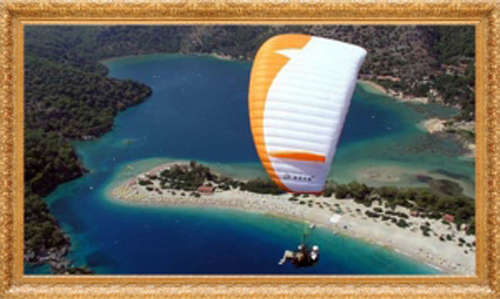 to Belcekız Beach in 30?40 minutes with enjoying fantastic view of Ölüdeniz. From the hotel to the take off place is about 45 min. Jeep ride on the slope of the mountain. After getting your equipment on, all you have to do is to run a few steps along with the wind and than let yourself go in to the sky. Adrenaline and freedom. 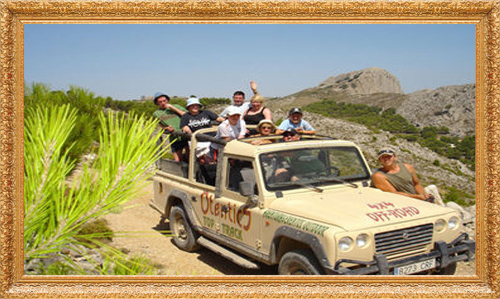 You ride in a 4 x 4 jeep and start an enjoyable trip towards the back gardens of Fethiye. The Jeep Safaris are organized daily to different regions by travel agencies where you can participate as a driver or a passenger and experience an adventurous journey on all sorts of roads ranging from wide street to small, dusty tracks. 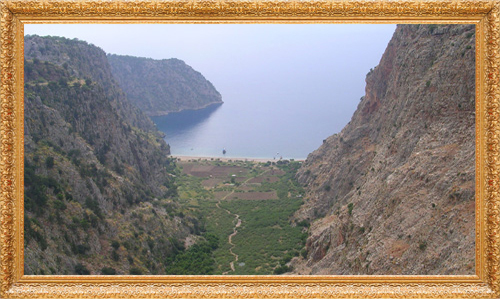 You discover the hidden valley, cross rivers and enjoy sandy beach of Patara on this journey. Oludeniz Boat Trip: Escape from it all on a lazy day boat cruise taking in five island stops including the indigo waters of the Blue Cave; the natural surroundings of Butterfly Valley; lunch on board before heading off to explore the ruins on St Nicholas (Gemiler) Island; and a quick dip in the icy waters of the freshwater springs at aptly named Cold Water Bay. Includes transfers and lunch on board. 12 Islands Boat Trip: Cruise the islands around Fethiye Bay for a totally relaxing, sun soaked day… explore the Byzantine and Roman ruins of Dockyard Island and Cleopatra’s Bath; swim in peaceful bays and inlets and lie back on remote island shores: a perfect way to relax, top up your tan and see the Turquoise Coast. Includes lunch. Diving in Oludeniz and Fethiye is a different experience from rest of the world. 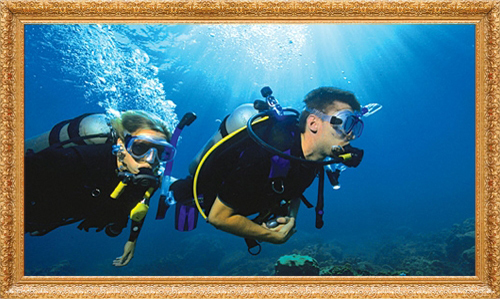 The local diving zones have all sort diving adventurous as reefs, wrecks, walls and caves. The local habitat is very rich and home for many kinds of fish. You can have a very nice day with all your family even if they are not divers. Travel through picturesque rural Turkey to explore the Lycian, Byzantine and Ottoman ruins at the ancient city of Tlos, supposed home of Pegasus the winged horse. Enjoy a delicious lunch of grilled trout, mezes and salads in the open air of leafy Yakapark trout farm. See the art of carpet and kilim making at a traditional carpet factory. 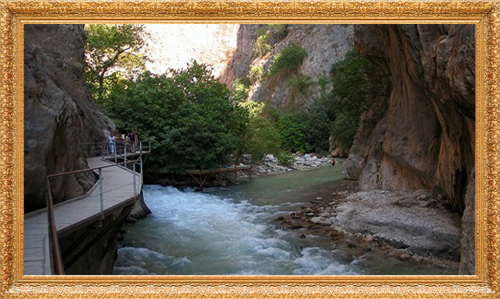 Then discover hidden Saklikent Canyon, with its waterfalls and icy torrents of water to freshen you up before returning to Fethiye. Includes lunch, transport and guide.